So much trends in the Manila food scene over the past few years that people have even rated that Manila is one of the best places to be a foodie. Yet, one thing seems to have been neglected in this deluge of gastronomic concepts. 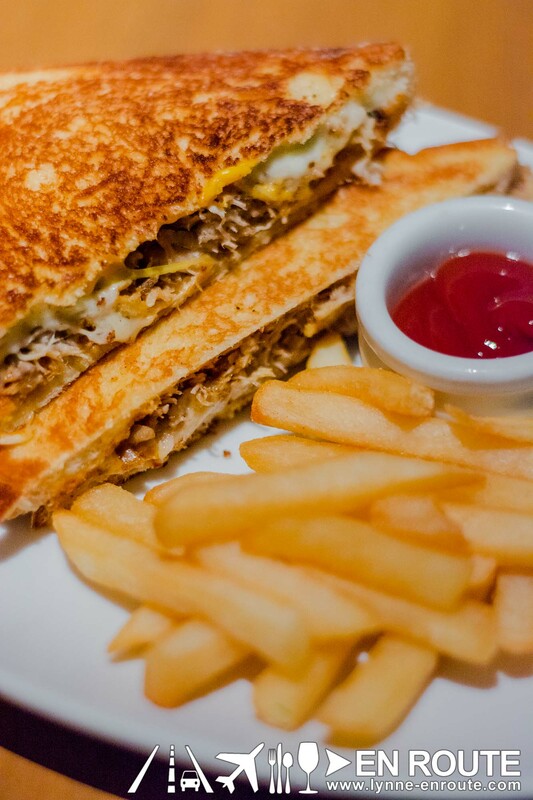 The simplest of comfort food, the grilled cheese, has been vastly overlooked. Some people will argue that there’s nothing to change with the classic cheddar on white bread pressed together to get that toasty crust and slightly melted cheese. But it is with this that Chef Carlo Miguel of Draft Gastropub, Distillery, 71 Gramercy, and Beso Cucina Vinoteka fame thought that this is the perfect base to highlight any other ingredients you can marry together with the fundamentals. His inspiration comes from the gourmet food trucks of the United States, where imaginative chefs who can’t afford to rent out a whole restaurant space make do with mobile kitchens where they can unleash their creations to the world. And you guessed it, some of them are grilled cheese food trucks. 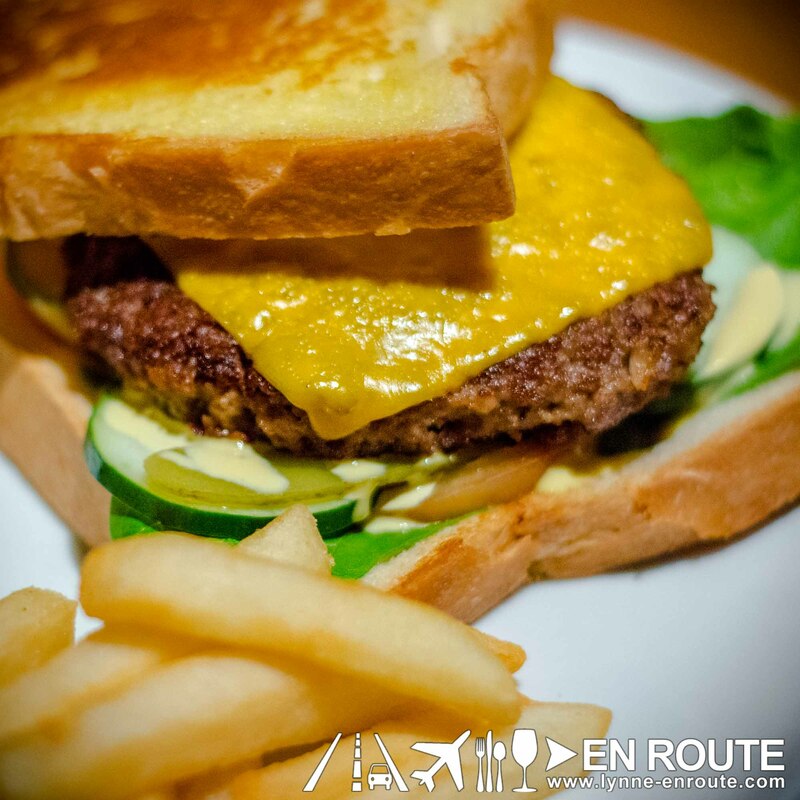 Chef Carlo calls it Gourmet Grilled Cheese, and it will be the highlight of the menu of the newly opened Brew Haus, which used to be occupied by the quirky restaurant Off-The-Grid. 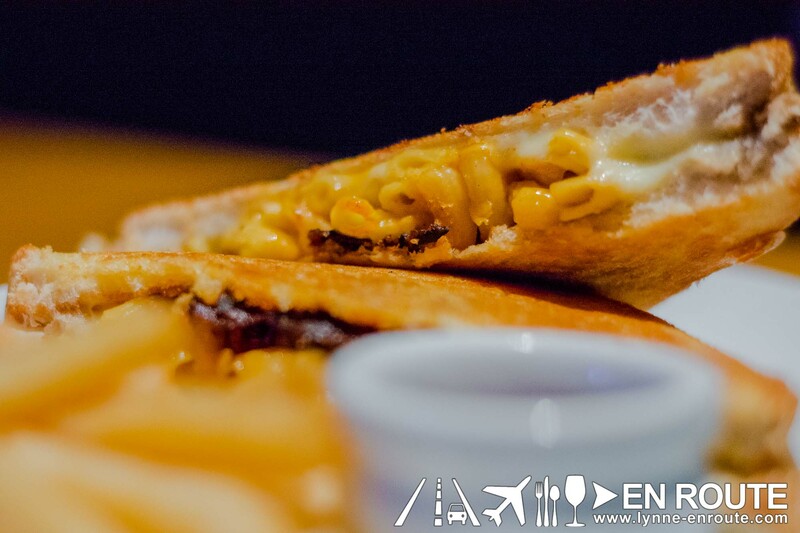 There will be more stuff on the menu like the Hottest Chicken Wings in Manila, but the grilled cheese takes center-stage here. 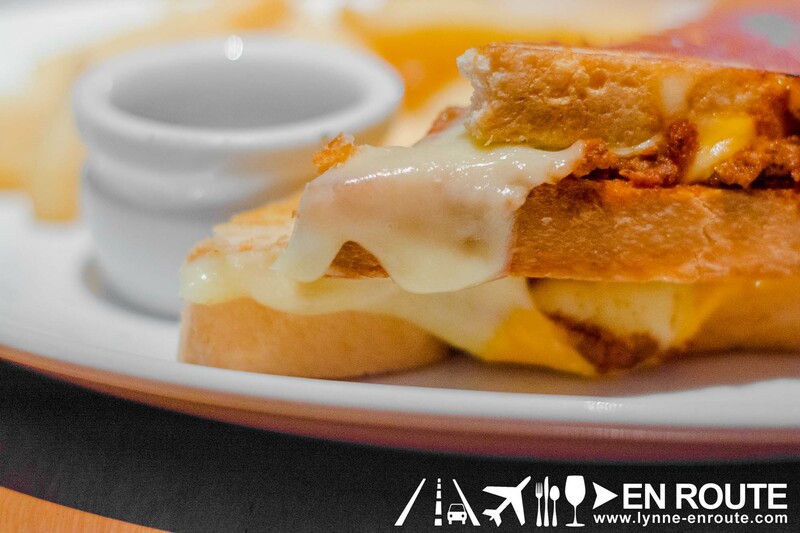 The idea behind these: Make sure the gourmet grilled cheeses never go above PHP 280.00, so that more people can be able to savor what their taste buds have been missing with these modifications of the classic comfort food. 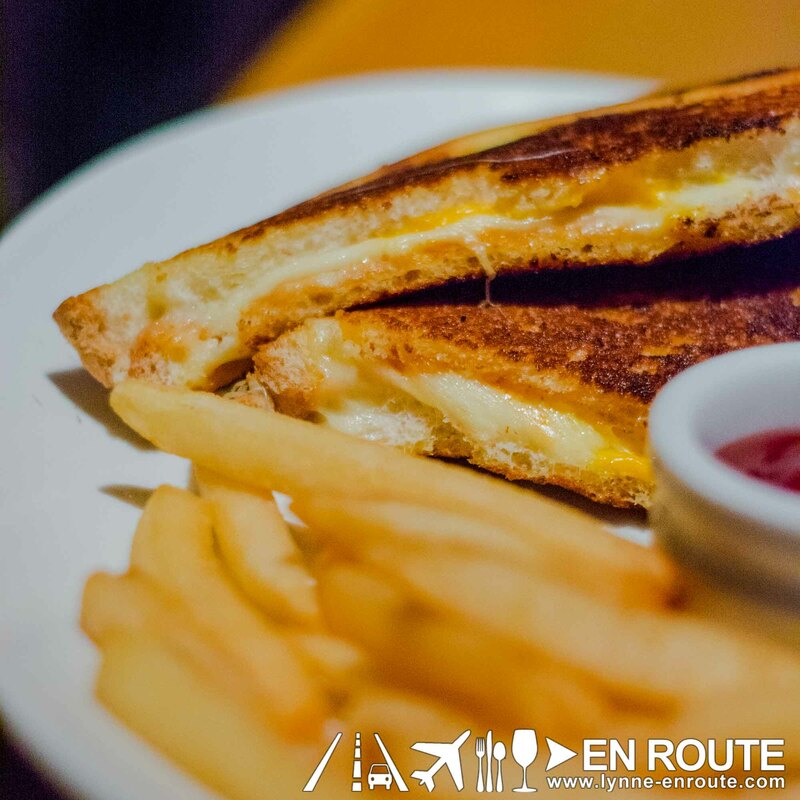 You maybe be used to one type of cheese, but you can go for a Double (Cheddar and Mozzarella), or up your cheese savviness to a Triple Gourmet Grilled Cheese (Cheddar, Mozzarella, and Blue Cheese). The thing about gourmet grilled cheeses is sticking to the basics and then pump up the flavor to hit you with things you knew deep inside would have worked if you did it yourself anyway. Stuff like Beef and Caramelized Onions. 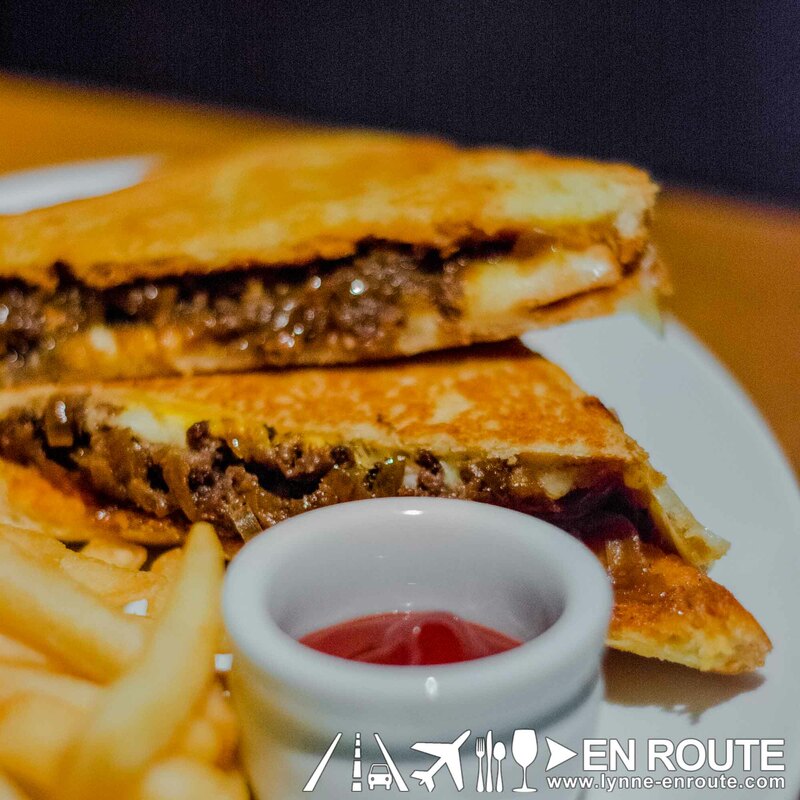 It works on a classic cheesesteak sandwich, so why not on bread that is softer on the palette to highlight that beef even more? Chipotle Pulled Pork to add a little zest? Sure! You are just limited by your imagination. Just don’t get carried away. They went all the way with clumping some Macaroni and Cheese. The first Mac n’ Cheese encounter in a bun was in Burges and Brewskies, and it was superb. Pressed together in a more bite-size morsel that’s designed to melt your problems away as you wash it down with a cold beer. 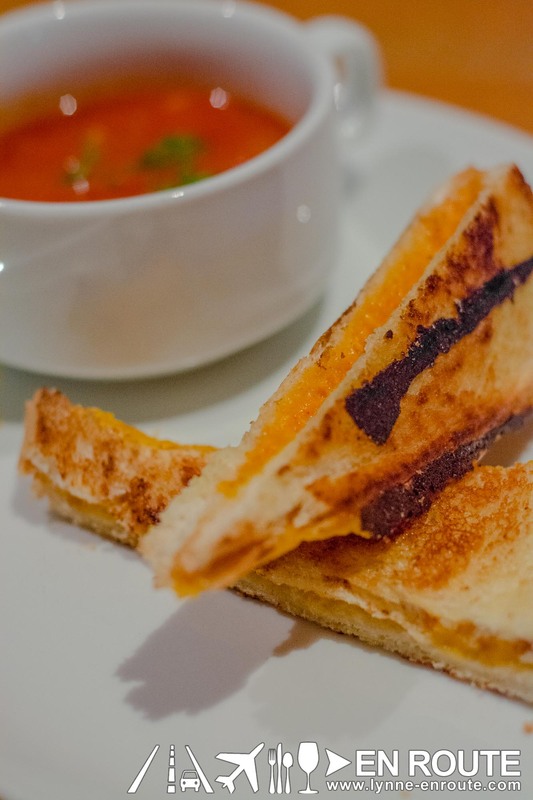 Go ahead and check out Brew Haus and the grilled cheese on their menu. 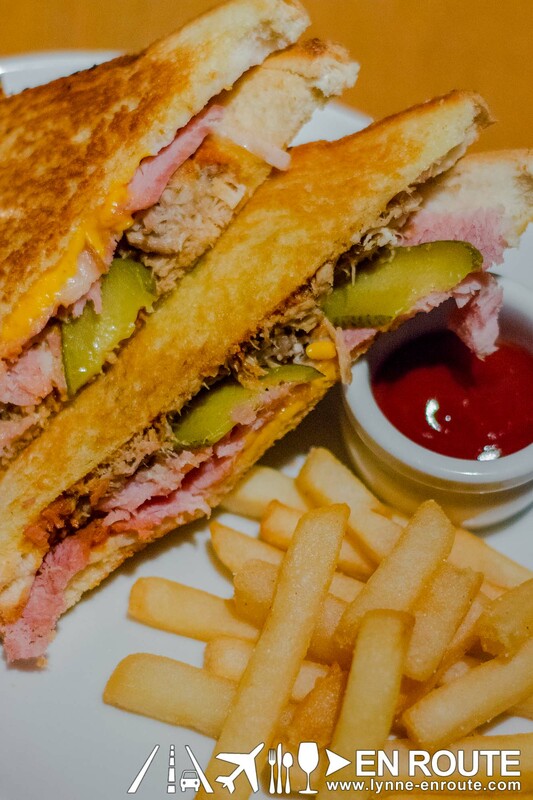 , You just have to arch your head back and give that sigh of relief that someone decided to tweak that basic grilled cheese and come up with flavors to complete your day.